The skills of being transparent is the key to developing authentic relationships with your team – and with other people. Being transparent is about sincerity, honesty, grace and composure. Transparent leaders are authentic and respected. They are true to themselves and know their team members well. They share of their knowledge and information, instilling trust and understanding amongst their associates. – Own up to mistakes. The act of owning up to a mistake demonstrates humility and a genuine desire to do the right thing. – Responsibility share true opinions and emotions. Be responsible for the manner in which you share your opinions with others. For example, express your concern but without contempt. – Ask for feedback on your own performance. Ask those who you respect for feedback and accept it with an open mind. – Communicate both good and bad news. Do not sugarcoat bad news to make it sound better and don’t downplay good news. Simply tell the truth with a touch of compassion when necessary. – Create meaningful connections with your team. Don’t force an unnatural or uncomfortable bond with your employees. Instead, go out of your way to get to know each person on a real level. 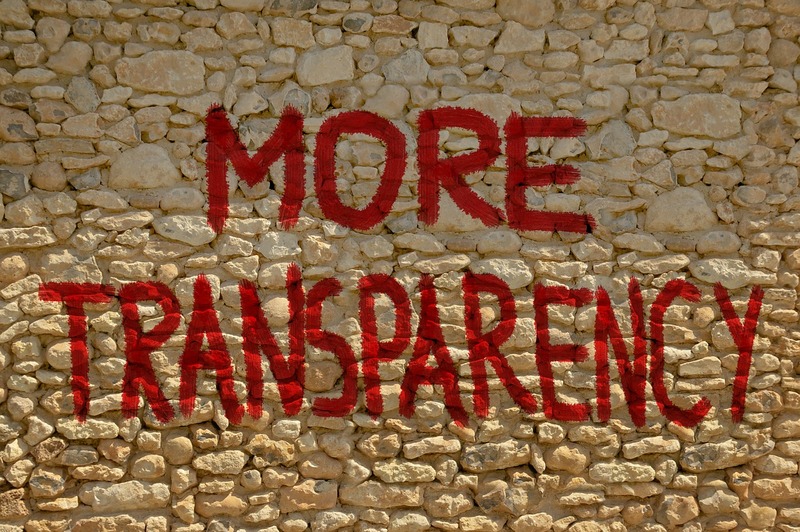 How do you practice transparency in your organization and your life? Is there something you can do to improve even further and if so, in what way?